Thinking of cosigning a student loan for your child or spouse? Before signing on the dotted line and saying “yes,” there are some important things to consider first. A cosigner is someone who agrees to sign for another borrower’s loan. That borrower may be your child or spouse, and as a cosigner you’re legally responsible for repaying the debt if payments are not made. Cosigners typically have good credit and can score the primary borrower a better interest rate. Although that’s great for the primary borrower, make sure it’s the right situation for you. In many cases, federal student loans don’t require a cosigner. However, there are some exceptions. One instance is if the primary borrower is applying for Direct Parent PLUS loans and has not-so-great credit. In that case, an “endorser” — basically a cosigner — can endorse the loan and agree to pay it back in case of non-repayment. Private student loans, on the other hand, often require a cosigner. In fact, the most recent data shows that 90 percent of private loans have cosigners. 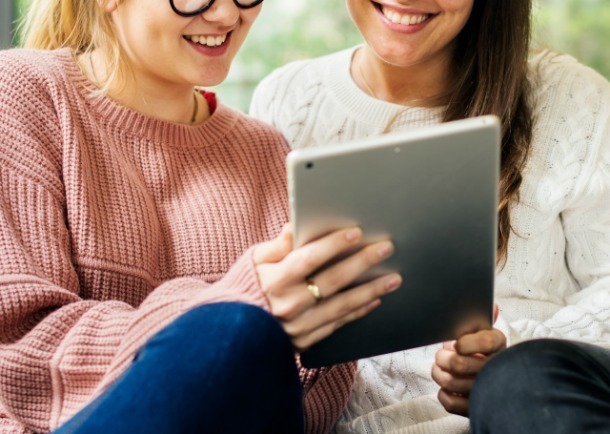 Since many young adults have no or limited credit history, having a cosigner can help the primary borrower get approved for a private loan and potentially get approved for a better interest rate. Additionally, refinancing student loans may require a cosigner — or at least help the borrower get a lower rate and save money on interest. But cosigning a refinancing loan can be a bad idea. Since the primary borrower is not eligible on their own (not good) and even then, if they only score a 1% to 2% interest rate reduction, it’s likely not worth the risk for the borrower or cosigner. Refinancing federal loans means that borrowers are giving up federal protections. And as a cosigner, the minimal interest savings might not be worth being on the hook for the entire loan if the borrower fails to make payments. If you’re going to be legally on the hook for a student loan balance, carefully look at the pros and cons of cosigning first. In many ways, being a cosigner is an act of generosity toward the primary borrower. Whether you want to help out your child or your spouse, the main benefits of cosigning goes to them and you’re stuck with most of the risk. This financial risk can strain the best of relationships — even between a parent and child, and among spouses. If your child or spouse is applying for private student loans with a high interest rate of 8% or higher and they have a good payment record, being a cosigner can be a good idea. If you have great credit, acting as a cosigner can help them lower their interest rate, which lowers overall costs of the loan. In an ideal world, you’re simply using your good credit to score a better rate and boost approval odds and that’s it. The reality is that life happens, and you and the primary borrower can’t anticipate a job loss or costly expense that might impact loan payments in the future. If a worst case scenario comes up, you should feel entirely comfortable with the idea of essentially “gifting” the loan amount to the primary borrower, if it comes to that. When you are a loan cosigner, you might just think that you’re using your credit to help your child or spouse get a loan. But there are situations that can complicate the matter. For example, if you cosign a spouse’s student loan and get divorced, you’ll still be on the hook, even after you part ways. Your name will still be on the loan and if your ex misses a payment, your credit could take a hit. It can get messy. If the primary borrower unexpectedly dies and you cosigned a federal student loan, the good news is there will be a death discharge. But if you cosigned a private student loan and the primary borrower dies, it may be a different story. You may be on the hook for a private student loan that you cosigned, even after the primary borrower passes away. This varies by lender so you will want to check for a death discharge option from the lender. One way to protect yourself is by getting a life insurance policy on the primary borrower for the sum of the student loans, and in the case of death, you’ll have life insurance to cover the loans. Also, at some point, you will want to see if the primary borrower qualifies for cosigner release. Each lender has various requirements, but typically the primary borrower needs to demonstrate ability to pay and have good credit to be approved for cosigner release. Cosigner release relieves the cosigner from the loan so they’re no longer responsible. If after calculating different repayment options, you find that cosigning on a student loan makes sense despite the risks, use caution and read the fine print so you know what you’re getting into. Make sure the savings are worth years of financial responsibility on your end. This post was written by Travis Hornsby who founded Student Loan Planner after helping his physician wife navigate ridiculously complex student loan repayment decisions. To date, he’s consulted on over $400 million in student debt personally, more than anyone else in the country. He is a Chartered Financial Analyst and brings his background as a former bond trader trading billions of dollars.